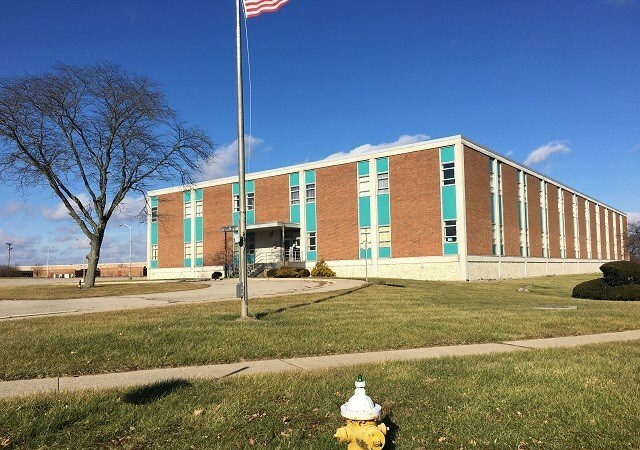 Two-story former telecommunications building with a full basement (partially finished) in Dayton suburb, has been owner occupied and utilized as a professional office building. Located on Woodman Drive south of Dorothy Lane on a 7.52+/- ac lot in a mixed commercial, retail and residential area. This location is accessible to I-675, SR 48 and Wilmington Pike. Built in 1962 with the total usable square footage on the first and second floor at 60,305+/- sf, providing space for multiple offices, conference rooms and open seating areas. Additionally, the 1st floor has a kitchenette. Basement has large conference and training rooms, large lunchroom, kitchen & lounge plus mechanical room. Outside there are 316 parking spaces and 6 handicap accessible spaces. 11-2pm Friday January 25 and February 8. And being Lot No. 1 and Lot 2, AT&T Woodman Plat as recorded in Plat Book 228, Page 48 of the Plat Records of Montgomery County, Ohio. • Personal Property Not Included. Only title to the real estate is being conveyed. Personal property may be present, but is not included in the auction. Removal of personal property remaining on site at the time of closing is the responsibility of the Buyer. • Transfer Application Required. Buyer acknowledges that the conveyance of Property is subject to completion of the City of Dayton's Certificate of Disclosure for Transferring Property application, which may or may not delay closing. Buyer agrees and accepts all responsibility for any effects thereof (disclosure of outstanding property violations attached). Buyer agrees to comply with all requirements necessary to complete the application. Buyer accepts all responsibility for any remediation costs, fees, permits, or terms required by the authority thereof, which may or may not include demolition, escrow fees, or habitation certificates. Property may also be subject to other undisclosed city/county requirements for transfer, and Buyer agrees to be responsible for compliance including all costs and remediation that may be necessary. THE SALE WILL BE CONTROLLED BY THE AUCTIONEER PROGRAM. Williams & Williams is not responsible for malfunctions or system errors which cause a bid or bidder to fail to be recognized or registered. If there is a dispute, the Auctioneer may re-open the bidding at the Auctioneer's sole discretion and shall serve as the sole arbiter as to who is or is not allowed to bid. The Auctioneer reserves the right to group, add to, delete, withdraw, consolidate or break down properties or quantities offered, to sell out of scheduled sequence, to reject any bid which is only a fraction advance over the preceding bid, to regulate bidding and to accept or reject any or all bids. Absentee bids may be accepted at the discretion of the Auctioneer. Any and all decisions of the Auctioneer regarding the order and conduct of the auction shall be final and absolute without liability to any party. Seller reserves the right to cancel or withdraw any property at any time. All auctions are subject to court or seller approval. Most sales are approved within seven (7) business days. Buyers are not allowed possession until filing of the deed, at which time the property should be re-keyed. "Showing" requests from Buyers after the auction may not be able to be accommodated. A Buyer's Premium of 5% ($10,000 minimum) will be added to the high bid and included in the total purchase price. Each high bidder must make a 10% non-refundable deposit per property ($5,000 MINIMUM - whichever is greater) at the conclusion of the auction. Electronic wire funds, ACH Debits, and cashier's checks are the only forms of payment accepted. If you are a resident / citizen of a country outside of the US, certified funds (bank check, wire transfer, certified checks) are required for the down payment and closing. Once the Seller approves the Sale, the deposit will be credited to the Contract. The balance of the purchase price all closing costs, and the Technology Fee are due at closing. Buyer is responsible for all escrow and closing fees typically ranging from $750-$3000. It is the Buyer’s responsibility to contact a local title agency or real estate attorney for a property specific estimate prior to placing a bid. Deposits will not be forwarded to any title company, or other party, for closing until WW's bank has received "cleared funds" for the deposit.